This is your weekly tip sheet for having maximum impact with your voice and in all your communication. A quick tip might just save your voice or get you through that important conversation. I welcome any comments or questions. Help! They’re falling asleep out there! How do you hold interest when you have no help from your environment OR your topic? Here are 3 techniques that will turn your presentation from boring to bravo! 1. Vary the pace: Keep your overall pace between 140-160 words per minute so that people can follow you, but speed up or slow down for interest. 2. Vary the cadence: Ending sentences consistently open or closed is boring. Make definitive statements, but also ask questions and invite the response. Try allowing for space, too! Silence is golden. 3. Vary the pitch: Varying pitch creates interest in the ear of the listener. If you have a low voice, raise it in pitch from time to time for emphasis. 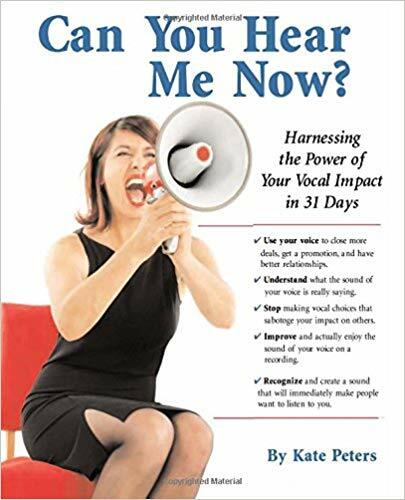 If your voice is high, bring it down when you make a definitive statement. Join the conversation on my Facebook page , on Linked-In , or follow me on Twitter. I welcome any comments or questions.